Christian Life Resources offers speakers for a variety of events on a variety of topics. To learn about requesting a speaker for your next event, read below. Questions can be directed to CLR by phone at 1-800-729-9535 or by email. If presentation includes “PREACHING” indicate below the desired direction for the sermon (i.e., general life issues, beginning of life, end of life, family, etc.). Please note that you as the hosting congregation must write the order of service (use the link below this form for suggestions). Would You Like the Speaker's Bio? Would You Like the Speaker's Photo? Would You Like a Customized Poster for the Event? Q & A Hot Seat: Our most popular presentation! Questions can be asked on any life or family topic. Host is encouraged to distribute list of topics and encourage questions to be submitted anonymously at the presentation or in advance. The “Culture of Death” Struggle: Looking at suicide, assisted suicide, euthanasia, and a culture of death that presumes death over life based on quality standards. Challenges in Contemporary Medical Care: Looking at medical directive statements, pain management, resuscitation orders, alternative medicine options, allocation of limited resources, no-win scenarios, and decision-making options to stop or pursue further treatments. Technology and Biotechnology: Looking at the line between restoring health and enhancing life, the future of artificial intelligence and transhumanism, and the blessings and curses of technological advancement. Fertility, Birth Control, and Artificial Reproductive Technology (ART): Looking at issues of infertility, appropriateness and options in birth control choices, and various considerations when engaged in in vitro fertilization (IVF) and other ART technology. Human Sexuality: Looking at chastity, infidelity, various expressions of sexuality from heterosexuality to homosexuality to asexuality, and traditional and non-traditional relationships from monogamy to polyamory. Embryology and Experimentation: Looking at the beginning of life in its earliest stages, social attitudes about that life, and the promise/perils of stem cell research. Church and State: Looking at the rights, limitations, and challenges of working as a Christian and as a congregation within a republic form of government. This includes discussing activism suggestions and limitations. Organ Transplantation and Infanticide: Looking at the history and process of organ transplantation and its challenges. This also includes a discussion of organ harvesting as an incentive towards infanticide, suicide, and assisted suicide. Eugenics: Looking at the culture of a society that determines some lives are worth living and others are not. This discussion looks at the issue from a historical perspective and the perils involving contemporary trends. And When I Die: Looking at death from the perspective of the patient, family member, and concerned friend. In addition to dealing with attitudes and challenges in the dying process we will consider circumstances in which a decision is difficult to make. Abortion: Looking at the numbers, the procedures, the mothers, the fathers, the victims, and the doctors. This will include discussions on ways to deal with differing attitudes on this topic. Our Bodies and Our Families: Looking at various societal trends that directly affect the family, such as cohabitation, mandatory vaccinations, substance abuse, and family discord over such issues and the manner in which to address them. When a representative of Christian Life Resources is invited to preach in a worship service, all expenses are covered by Christian Life Resources with the request that the inviting congregation(s) help to defray these costs by taking a door offering and/or providing an honorarium or covering some expenses related to lodging and travel. The stipulations indicated under “Preaching Engagements” apply if the representative of Christian Life Resources is asked to present during the Bible Class period before, between, or after he has preached for a worship service. If an additional presentation is required (same area/location, close to the same time, etc.) and it does not require additional travel, lodging, or car expenses, no extra fees will be associated with the additional presentation. If the additional presentation does require extra expenses, and the host can guarantee a minimum of 25 people in attendance, CLR will not require an honorarium to be paid. Otherwise, a minimum honorarium of $125 is required by groups unable to meet the 25-person minimum attendance. Such events include presenting a Bible Class (but is not preaching for any worship service), conference, event, or seminar. The host must guarantee a minimum of 25 people in attendance. If such a guarantee cannot be made and the audience is smaller, a minimum honorarium of $125 is asked. Travel and lodging costs should be reimbursed by the inviting group regardless of the number in attendance. NOTE: At every presentation, event attendees are provided material on the work of Christian Life Resources and are invited to sign up to receive regular communications on the work of the ministry. Fees should be paid in the form of a check made out to “Christian Life Resources” and given to the presenter at the time of the event or sent to the CLR office afterwards. Any honorarium, stipend, or fee intended for Pastor Fleischmann should be provided in a check made out to “Christian Life Resources.” IMPORTANT: Pastor Fleischmann requests that no checks be made out in his name. CLR presentations on life and family issues are preferred to be done in-person. No matter how sophisticated our technology may be, nothing beats eye contact, observable hand gestures, and the chit-chat that goes with an in-person presentation. Sometimes, however, this is not possible. The class might meet at an odd time, the attendance might not be that large, or the time period is simply too restrictive. In such circumstances CLR is willing to provide a live video presentation. This option requires a good internet connection, video projector, and sound system on your end. Generally, we use SKYPE to make the connection. The cost for a Live Video Presentation is $75/presentation, and the host is required to hand out the complete packet of material on the work of Christian Life Resources. These materials will be sent in advance. Please use these promotional materials as you see fit to promote Christian Life Resources coming to your event. If you need anything additional, please contact us. Pastor Robert Fleischmann from Christian Life Resources will preach for the congregation’s __________________________ (Life Observance Sunday, Mission Festival, etc.) on __________________ (Date). He will also lead the Bible study entitled, “________________________.” Pastor Fleischmann has served as the National Director of Christian Life Resources since 1988. The mission of CLR is to use life and family issues as bridges to convey the love of God and to share the message of salvation through Christ. Rev. Robert Fleischmann has been the National Director of Christian Life Resources since 1988. He is also the Administrative Pastor at St. Paul Ev. Lutheran Church in Slinger, WI, and is adjunct to Wisconsin Lutheran Seminary. He teaches an online masters certificate course at Concordia University on Bioethics and Biotechnology. He speaks throughout North America on the Biblical approach to various life and family issues and counsels people with God’s Word in correct decision-making. The Reverend Robert Fleischmann currently serves as the Senior Advisor of Christian Life Resources, Incorporated. The organization’s primary mission is to educate on life and family issues. Its ministry consists of 17 pregnancy resource centers and one maternity home. The organization also helps people to understand and make Scripturally-guided decisions in medical matters, particularly as they apply to beginning- and end-of-life concerns. The Bible is central in this ministry which seeks to save lives both for now and eternity through education on such critical issues as abortion, infanticide, suicide and euthanasia. Christian Life Resources, Inc., is one of the largest single-denominational pro-life agencies in the United States. Though its theological position reflects that of the Wisconsin Evangelical Lutheran Synod (WELS), the agency serves people of all faiths. Pastor Fleischmann speaks throughout North America on the Biblical approach to various life and family issues. He writes on a wide variety of life issues and counsels people with God’s Word in making medical decisions. Robert Fleischmann was born in Pleasanton, California in 1956. He was raised in Lake Geneva, Wisconsin where he attended public grade schools and high school. He considers First Evangelical Lutheran Church in Lake Geneva his home congregation and was confirmed from there in 1970. He became involved with life issues in 1976 while a student at Bethany Lutheran College in Mankato, Minnesota. He later graduated from Bethany in 1979. That year he began working with Wisconsin Citizens Concerned for Life (the precursor to Wisconsin Right to Life) where he served as the volunteer co-editor of the organization’s state newsletter. He also helped form the Wisconsin state affiliate of Lutherans for Life. During his seminary years, he began working in the area of life issues within the Wisconsin Evangelical Lutheran Synod (WELS). He attended the May 1983 formation of what is today Christian Life Resources and was one of the original signers of the organization’s constitution. Pastor Fleischmann marked his entrance into the pastoral ministry in 1983 upon his graduation from Wisconsin Lutheran Seminary in Mequon, Wisconsin. He was called to serve as the pastor of Good Shepherd Evangelical Lutheran Church in Plymouth, Wisconsin. In 1988 Pastor Fleischmann was called to serve as the first National Director of Christian Life Resources where his responsibilities included administering all programs and staff for Christian Life Resources. In 1993 he founded New Beginnings – A Home for Mothers which operated in Denver, Colorado, for nearly 21 years. In the summer of 2014 that ministry relocated to Milwaukee, Wisconsin, where it continues to care for single mothers and babies. As part of succession planning for Christian Life Resources Pastor Fleischmann transitioned to the position of Senior Advisor for the organization. In that position he will mentor the new National Director for Christian Life Resources. He will spend most of his time writing educational and training material for Christian Life Resources and plans to preach or present once each month on behalf of Christian Life Resources. Effective July 1, 2015, Pastor Fleischmann became the Lead Pastor for St. Paul Evangelical Lutheran Church in Slinger, Wisconsin. He also serves as an Adjunct Professor of Philosophy in the Bioethics Department at Concordia University in Mequon, Wisconsin. He is presently serving an advisory role on a forthcoming PBS television documentary on palliative care entitled, “Best Care Possible,” based on Dr. Ira Byock’s book by the same title and serves on the Wisconsin Coalition of the Patients’ Rights Action Fund. Pastor Fleischmann and his family live in Hartford, Wisconsin, and his parents live next door. The mission of Christian Life Resources is to use life and family issues as bridges to convey the love of God and to share the message of salvation through Christ. The mission of Christian Life Resources is to use life and family issues as bridges to convey the love of God and to share the message of salvation through Christ. This organization educates people on what God’s Word has to say about the value and sanctity of human life. The intent is to mobilize Christians to make God-pleasing decisions about life and family issues. We focus attention on many issues such as: abortion, infertility, birth control, post-abortion syndrome, infanticide, medical directive statements, assisted suicide, and euthanasia. You may also access CLR’s Position Statement on Abortion and CLR’s Position Statement on Euthanasia. When the U.S. Supreme Court legalized abortion nationally on January 22, 1973, members of St. John’s Evangelical Lutheran Church in Libertyville, Illinois, saw the need to do something. Working with their pastor and with members from area Wisconsin Evangelical Lutheran Synod (WELS) congregations, they opened the first WELS Lutherans for Life pregnancy counseling center. As time passed, more and more independent centers sprouted up around the country until 1983 when they united to form the national organization that existed as WELS Lutherans for Life. 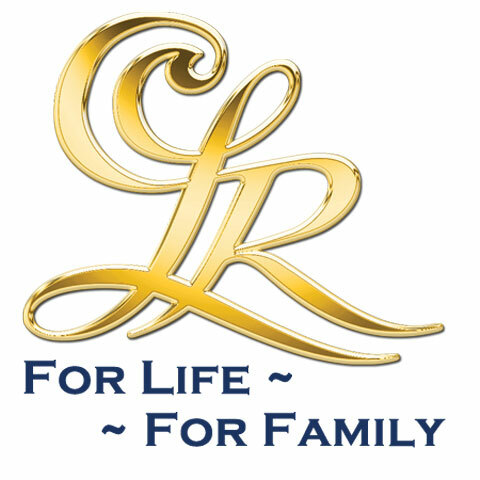 In 1999, the name was changed to Christian Life Resources, Incorporated. The national office provides counsel to clergy, teachers, and lay people on a wide range of life- and family-related topics. It is a resource center of materials and services on these issues. Most importantly, the national office educates others on the perspective of God’s Word as it relates to these issues. Through its official publication, Clearly Caring, lending library, email services and resource files, the national office seeks to answer the question, “What would God have me to do?” based on the direction found in God’s Word. To date, the organization consists of 18 chapters which operate 17 pregnancy counseling centers across the United States. These centers are visited by approximately 3,000 clients each year. In addition to these regional chapters there are currently 25 congregational branches (including one in Canada, as well as 1 college and 7 Teens for Life affiliates). Christian Life Resources also helped to organize and fund most of the work of New Beginnings – A Home for Mothers which relocated to Milwaukee, Wisconsin, in 2014. This program began in 1993 in response to the needs of single mothers and their newborns by providing residence and assistance in spiritual, academic, and vocational concerns. It is currently staffed by one full-time home manager and volunteer relief staff members. 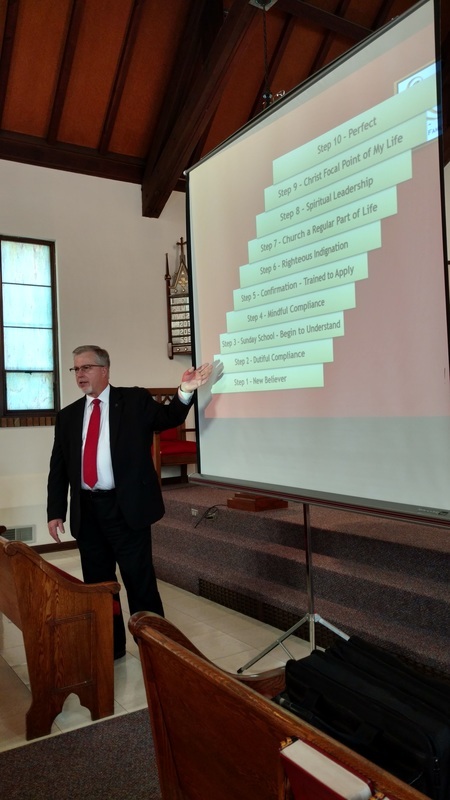 With the WELS Christian Life Resources subjects itself to the doctrine and practice of the Wisconsin Evangelical Lutheran Synod, but it is not supervised or funded by the WELS budget or its administrators. When the national office opened in May 1983, it operated from the church office at St. John’s in Libertyville, Illinois. In time it was moved to Plymouth, Wisconsin. From there it moved to Milwaukee, Wisconsin, when Pastor Robert Fleischmann was called to be the first national director of the organization. For six years the office occupied two different locations in the Milwaukee, Wisconsin, area near Mayfair Mall. In January 1995, the office opened the doors to an expanded office location next door to the former WELS Administration Building in Milwaukee, Wisconsin. Then in July 2008, CLR moved its headquarters to Richfield, Wisconsin. Beginning in June 2014, Christian Life Resources staff relocated to their homes to concentrate on the CLR mission to use life and family issues as bridges to convey the love of God and to share the message of salvation through Christ. You can also contact the CLR office by phone at 1-800-729-9535.